A perfect balance of high level performance at an attractive price, the JP251SW is a popular choice for schools and students and has been designed for the developing player to tackle the mid-to-late grade exams. The JP251SW is also no stranger to the professional market and is used frequently on stage in professional settings, from Jools Holland's Rhythm and Blues Orchestra to various shows in London's West End. The JP251SW has been carefully designed in collaboration with Dr Richard Smith of Smith-Watkins to ensure the instrument benefits from the same attention to detail as Smith-Watkins instruments. The excellent articulation and sound projection stem from the exclusively designed Smith-Watkins leadpipe which sets the JP251SW apart from other intermediate level trumpets. 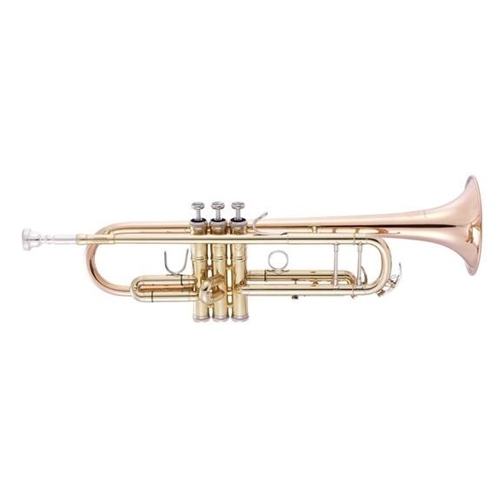 Constructed from high grade 80:20 brass to ensure a bright tone Monel piston valves Adjustable 1st and 3rd valve slides to assist on the tuning of the more difficult notes. Attractively designed, this instrument resembles a fully professional Smith-Watkins model and is available in many different finishes for that personal touch. The JP251SW is one of our most popular mid-range models and a fantastic choice for any player.